Levering the enormous power of Nvidia Pascal-architecture GPUs running in the cloud, GeForce Now enables Shield TV owners to stream the most visually advanced PC games directly to their TV without sacrificing performance or graphical fidelity. Starting today, Shield TV owners can play one of the best superhero videogames ever made: Rocksteady Studios’Batman: Arkham Knight. The epic conclusion to the award-winningArkhamseries is available to purchase for unlimited streaming on Shield TV via GeForce Now for just $7.99. And when you buy the game on GeForce Now you will automatically receive an additional digital key to download the game on PC at no extra cost. Not a bad deal. Batman: Arkham Knight’s arrival on Shield TV is not a rushed port of the original PC edition of the game either. Performance issues and bugs encountered in early versions have been addressed and wiped out so you can enjoy the best gameplay experience possible. All that extra horsepower under Shield TV’s hood is put to good use, too. Arkham Knight’s sprawling recreation of Gotham City has been brought to life with stunning detail. And due to the game’s open-world gameplay, you’re really afforded the freedom to explore and take in your surroundings. This latest chapter in the gritty Arkham series pits the Dark Knight against several of Gotham’s most notorious villains including Two-Face, Harley Quinn, The Penguin, and the titular antagonist, Arkham Knight, who’s armed with a high-tech militaristic Batsuit. 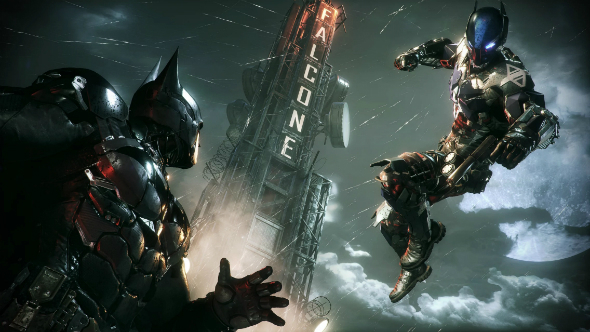 If you’re unfamiliar with the events preceding this game, all three previously released games in the Arkham series – Batman: Arkham Asylum, Batman: Arkham City, and Batman: Arkham Origins – are also available to stream on Shield with a GeForce Now membership ($7.99 a month with the first month free). That’s numerous hours of some of the finest entertainment set in the Batman universe available for the price of lunch. 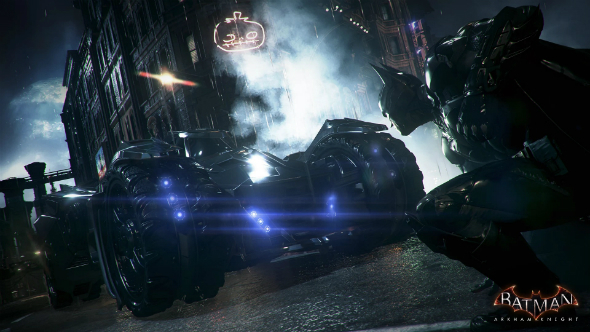 In addition to its gripping new storyline that brings the Arkham series to its conclusion, the game also allows gamers to drive the iconic Batmobile for the first time in the series. This all adds up to some of the most exhilarating moments in the entire franchise and an experience that genuinely benefits from the game’s full support for the Shield controller. Batman: Arkham Knight is available to purchase for unlimited streaming on Shield TV via GeForce Now for a sale price of $7.99 (60% off its regular full price of $19.99). A membership to GeForce Nowis $7.99 a month with the first month free to try out.